What is Yoga? We often ask this question, again and again. It has many answers and every answer is right because we all have our own and unique perception of the truth. It is essential to be completely healthy to attain the four goals of human endeavour, e.g. earning money, begetting progeny with a pure and noble intention, observing moral duties and attain liberation. There is hardly any hope of happiness, peace and bliss when the body is disease-ridden. No matter one possesses every thing-name, fame, wealth, affluence. Great sages invented methodologies to make humankind achieve a healthy body, and mind. 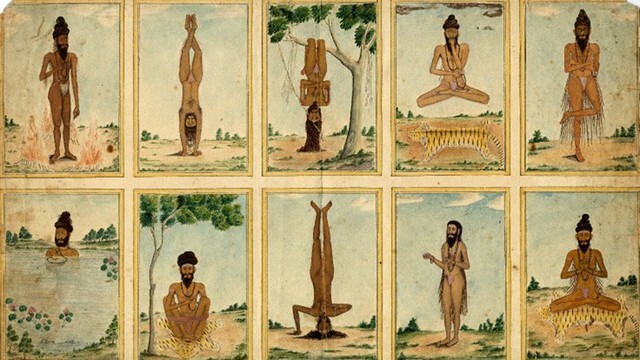 Sage Patanjali has propounded the doctrine Ashtanga (eight-limbed) yoga for the benefit of mankind. It comprises abstinences (Yama), observance (Niyama) and Yogic postures (Asana) as external (Bahiranga) Yoga which helps purge and purifies the body and mind. Concentration (Dharna), meditation (Dhyana) and Transcendental trance (Samadhi) falls under internal (Antaranga) Yoga which are the means to the attainment of self-elevation and bliss of liberated existence (Kaivalya). Yoga is a self-discipline. Yoga is a Lifestyle. Yoga is a concept of life, free from disease and rich with transcendental trance. Yoga is an excellent spiritual lore of self-therapy and self-realisation. Through this spiritual science of Yoga, a pygmy can become a colossus or one can transform or develop oneself comprehensively. Yoga is not merely an alternative system of medicine, its authenticity is based on the results of scientific studies worldwide which show that the disease has been eradicated. It is, therefore, a complete system of medicine, not only for diseases of the body but also for those of the mind. Yoga is not symptomatic medical treatment like modern medicine, rather it makes us feel healthy from inside by eradicating the root cause of disease. To view yoga merely as a form of exercise or merely as a ritualistic system of a particular community is a narrow and foolish attitude. We should view yoga as a complete science, throwing aside selfishness, prejudice, ignorance and egoism. The scriptures say that the seven chakras (energy centres) are awakened by Yoga, that brings out your true potential, vibrant health and absolute clarity. Yoga is the union of your body, intellect, ego, breath, soul and the universe. In simple words, Everything is Yoga because all atoms are holding each other so tight and our ego calls that material and that is Yoga too.